A heat exchanger is a heat-transfer device that is used for transfer of internal thermal energy between two or more fluids available at different temperatures. The tubing or tube is a crucial constituent of the heat exhanger, through which the fluids flow. 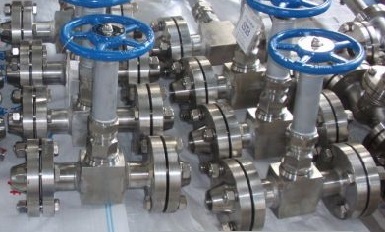 Since heat exchangers may be used in process, power, petroleum, transportation, air conditioning, refrigeration, cryogenic, heat recovery, alternate fuels, and other industries, heat exchanger tubes could also be classified accordingly as tubes of radiators, regenerators, condensers, superheaters, preheaters, coolers, evaporators, and boilers. Heat exchanger tubes may be furnished in straight type, U-bent type, coiled type, or serpentine style. Generally, they are seamless or welded tubes available in the outside diameters between 12.7 mm and 60.3 mm with relatively thin wall. The tubes are usually jointed with the tubesheet by a rolling or welding process. In some cases, capillary tubing or large-diameter tubing is applicable. 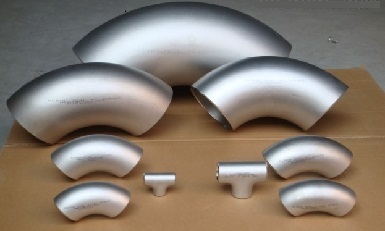 The tube may be furnished with fins (finned tube) which provide enhanced heat-transfer efficiency. In engineering practice, selection of materials for heat exchanger tubing shall be rigorously conducted. Generally, the tubing shall be conforming to on of the specifications given in ASME Boiler and Pressure Vessel Code Section II. The material selection shall be based on an overall consideration and calculation of working pressure, temperature, flow rate, corrosion, erosion, workability, cost efficiency, viscosity, design, and other environments. 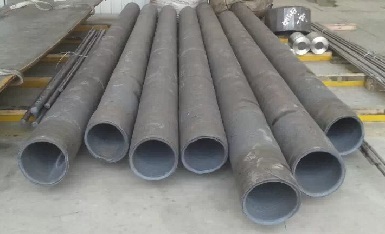 Usually, the heat exchanger tubing can be furnished in ferrous or nonferrous metal materials, which can be further classified as carbon steel, low alloy steel, stainless steel, duplex stainless steel, nickel alloy, titanium alloy, copper alloy, aluminum alloy, tantalum and zirconium, etc. The standard specifications of the materials include: ASTM A178, A179, A209, A210, A213, A214, A249, A250, A268, A334, A423, A450, A789, A790, A803, A1016; ASTM B75, B111, B135, B161, B165, B167, B210, B221, B234, B251, B315, B338, B359, B395, B407, B423, B444, B466, B468, B515, B516, B523, B535, B543, B622. B626, B668, B674, B676, B677, B690, B704, B729, B751 and B829. Chemical composition, mechanical properties and heat treatment shall all conform to the above-mentioned standards respectively. 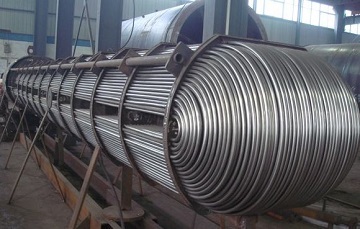 The heat exchanger tubing could be produced by either hot or cold process. Moreover, the hot working procedure produces a thin and rough black magnetic iron oxide film on its surface. This kind of film is often called “mill scale” which shall be subsequently removed by a turning, polishing, or pickling procedure. Standard testing and inspection on heat exchanger tubes usually include visual examination, dimensional inspection, eddy current test, hydrostatic pressure testing, pneumatic air-underwater testing, magnetic particle test, ultrasonic test, corrosion tests, mechanical tests (including tensile, flaring, flattening, and reverse flattening testing), chemical analysis (PMI), and X-ray inspection on the welds (if any).